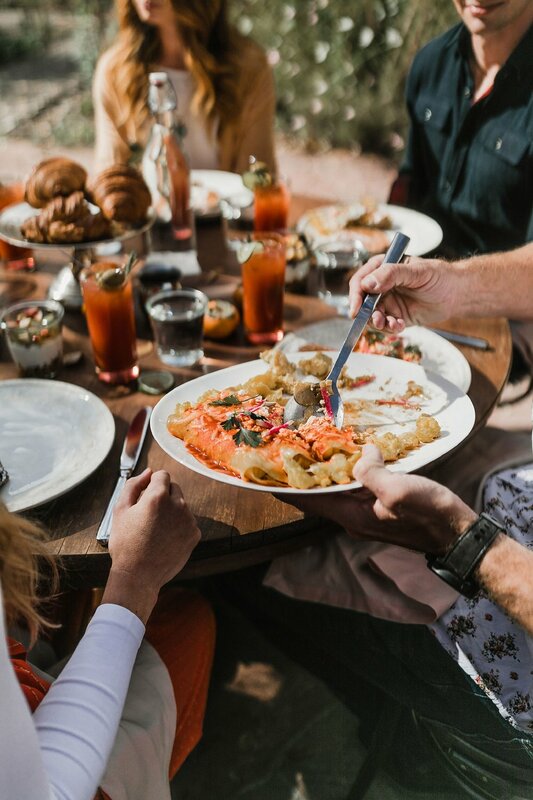 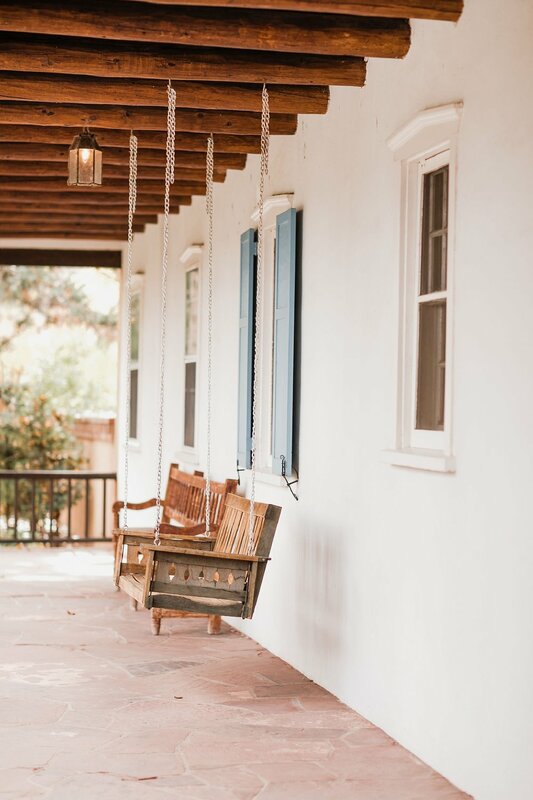 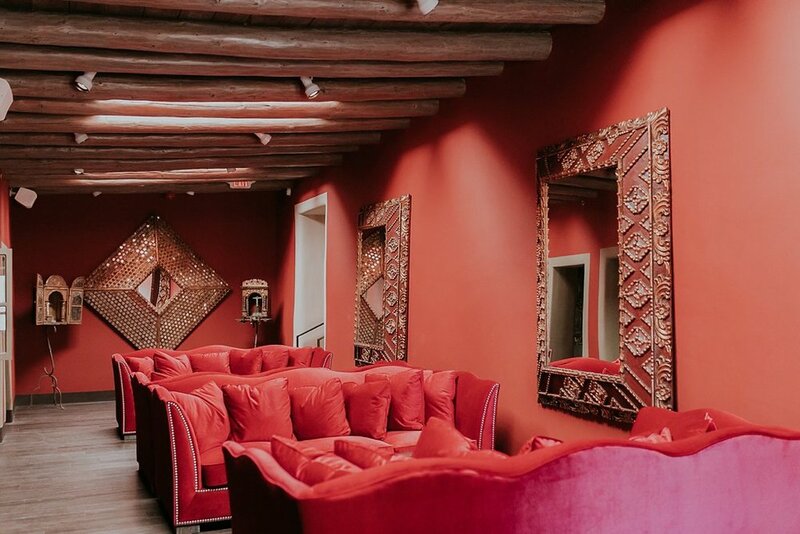 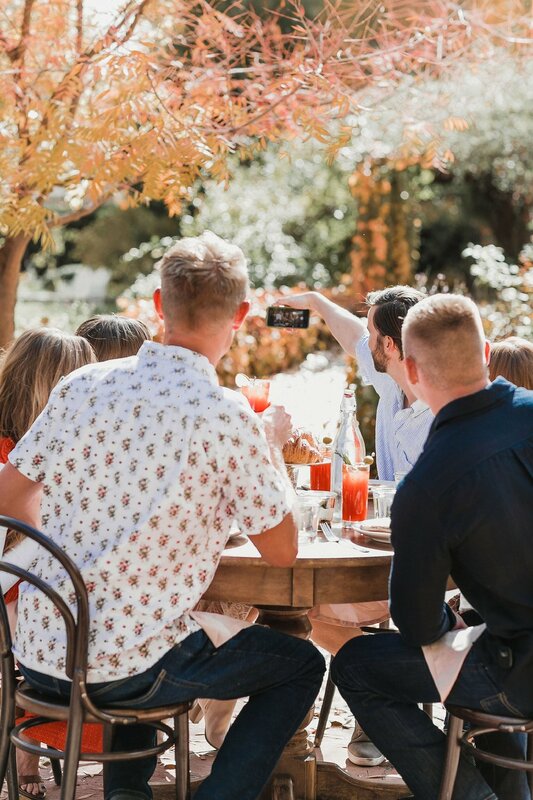 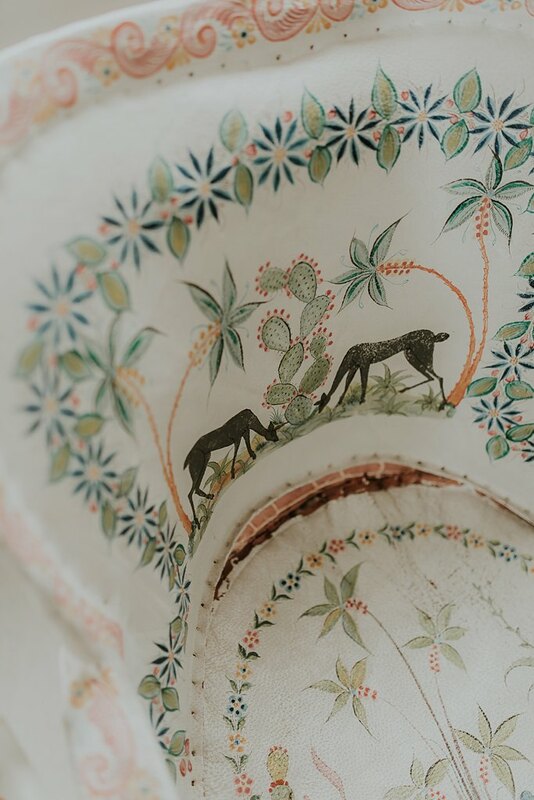 As all of our friends know, we are huge fangirls of Los Poblanos Historic Inn and Organic Farm, our favorite little Albuquerque gem tucked away in the gorgeous North Valley. 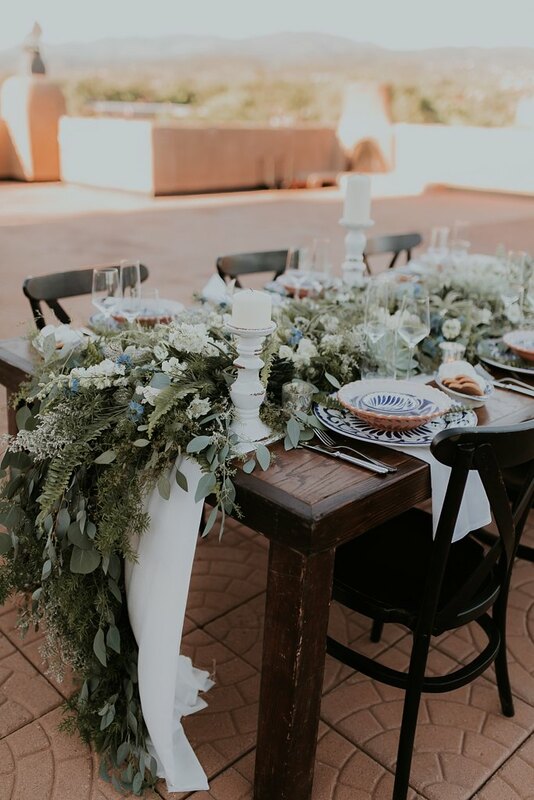 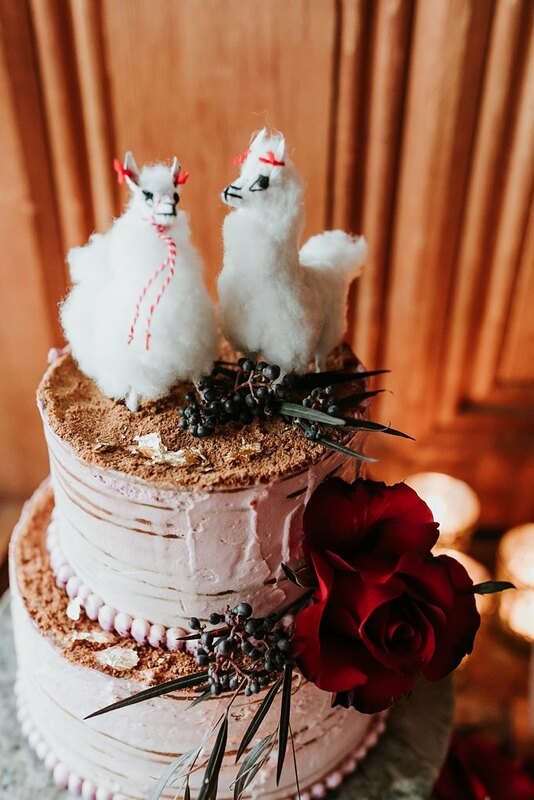 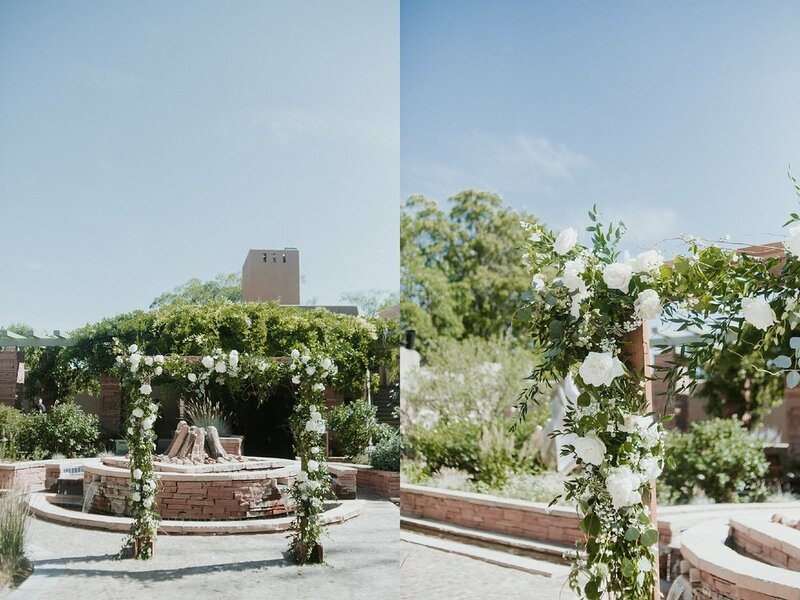 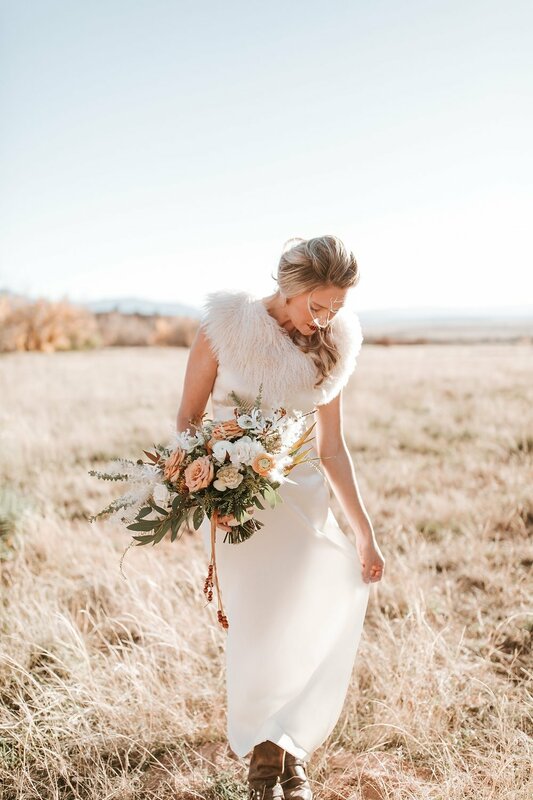 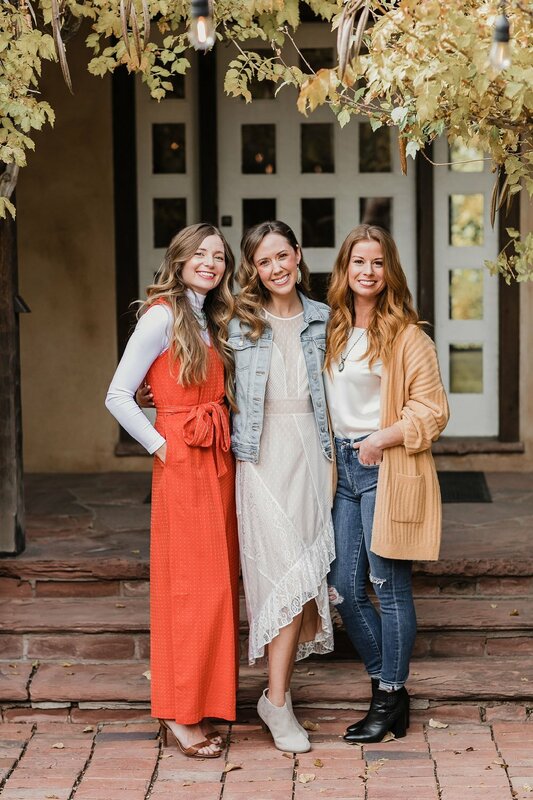 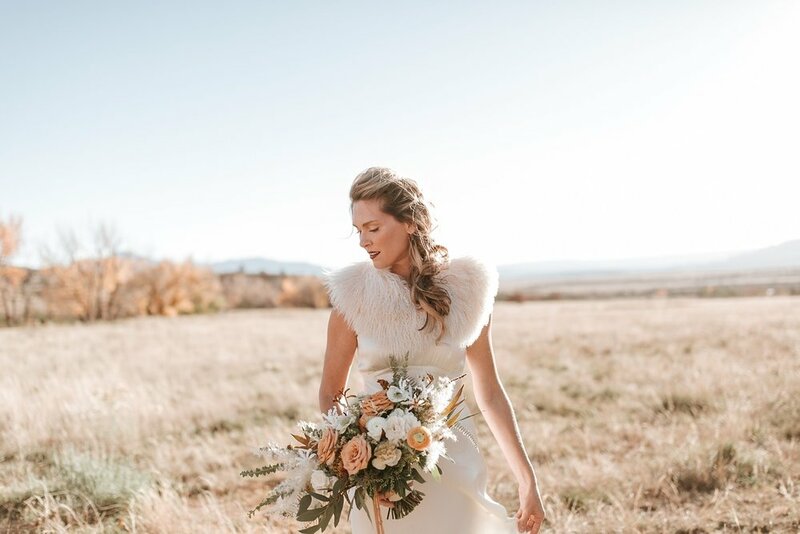 So when the amazing gals at Rocky Mountain Bride reached out and asked us to capture a new wedding feature for Los Poblanos, we were over the moon! 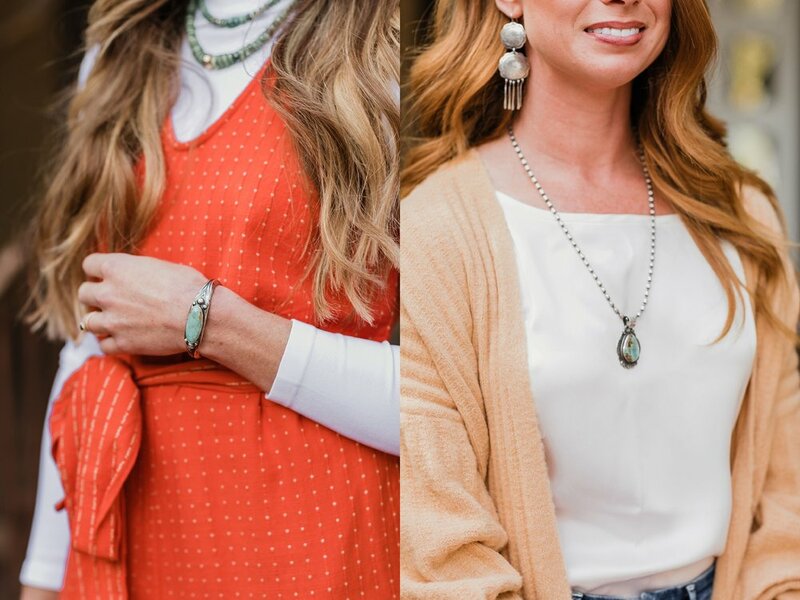 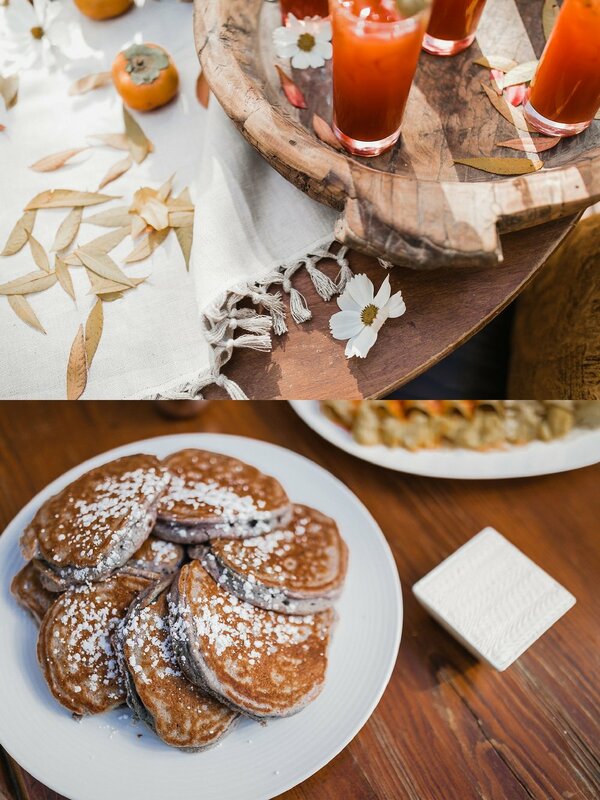 At the end of last October, we teamed up with some of our favorite vendor besties and made major magic happen right at the peak of fall. 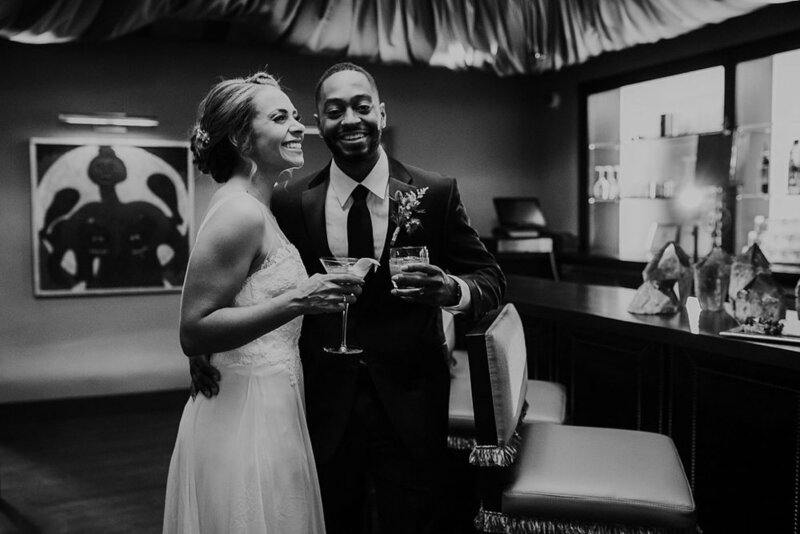 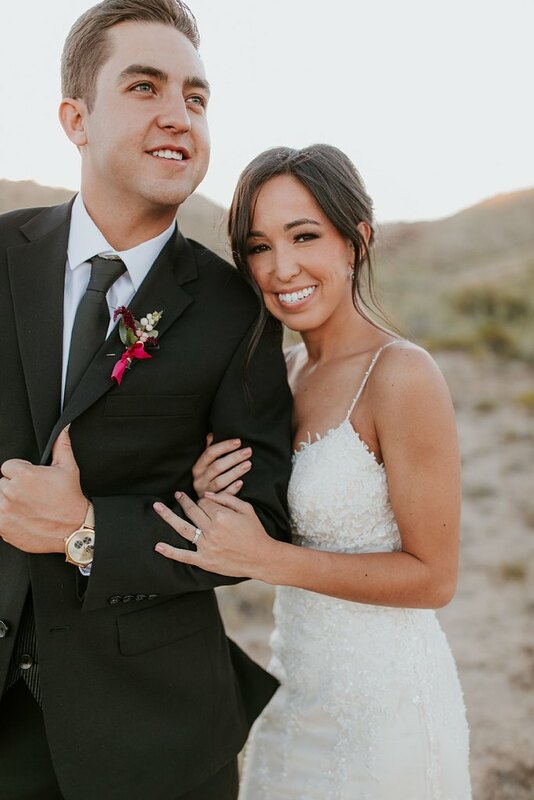 We even convinced two of our fave, real-life sweethearts, Carolyn and Paul, to dress up as our bride and groom for the day. 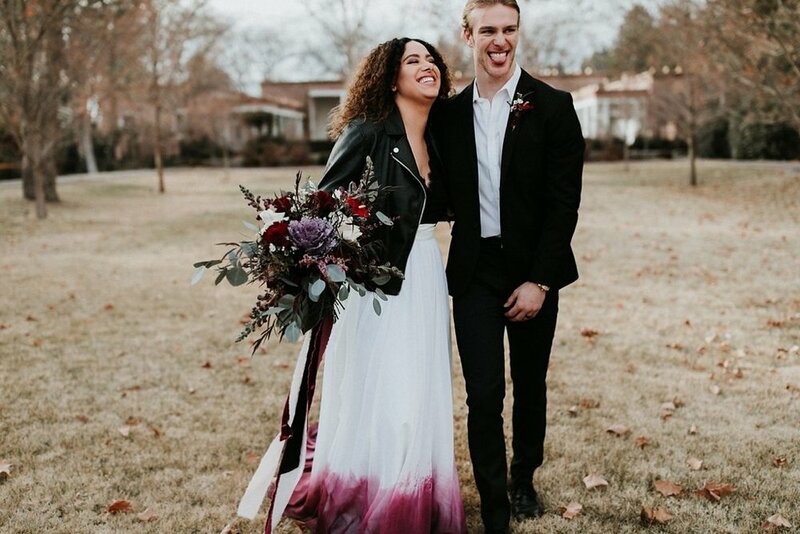 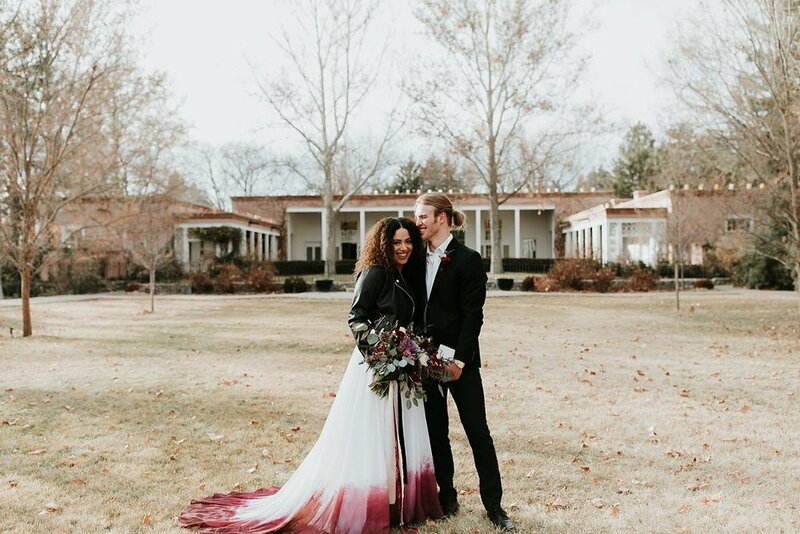 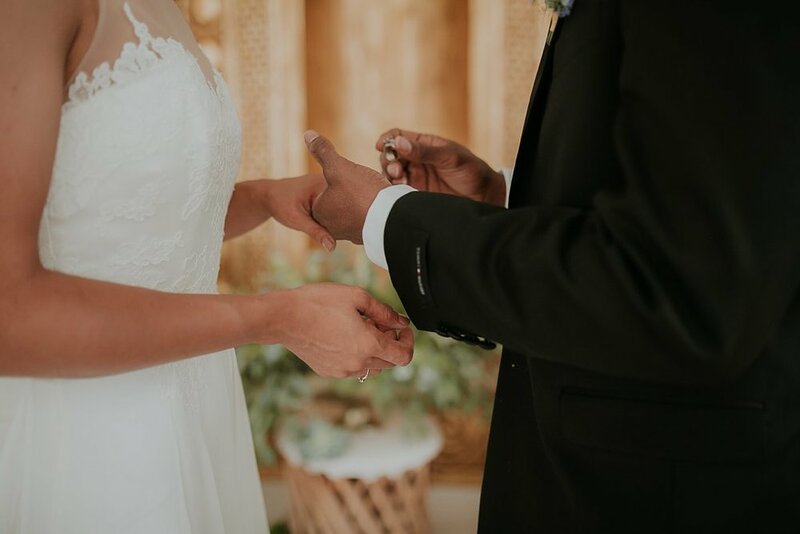 Amid the stunning fall foliage, impeccable planning and details came together for one of the craziest, most amazing days ever! 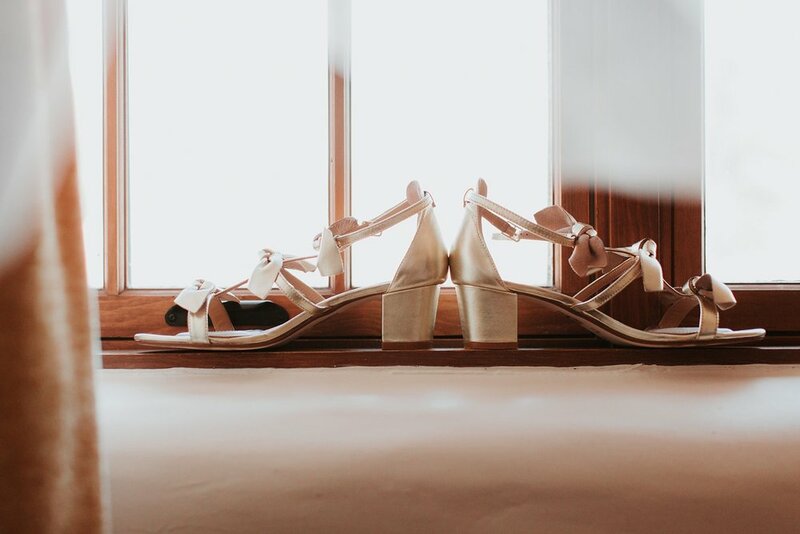 We shot a dreamy three day wedding weekend including an insanely yummy welcome brunch and game of bocce ball on day one, followed by bike rides and drink tasting for the boys and flower crown making for the girls on day two, and then the gorgeous, intimate wedding on the final day of festivities. 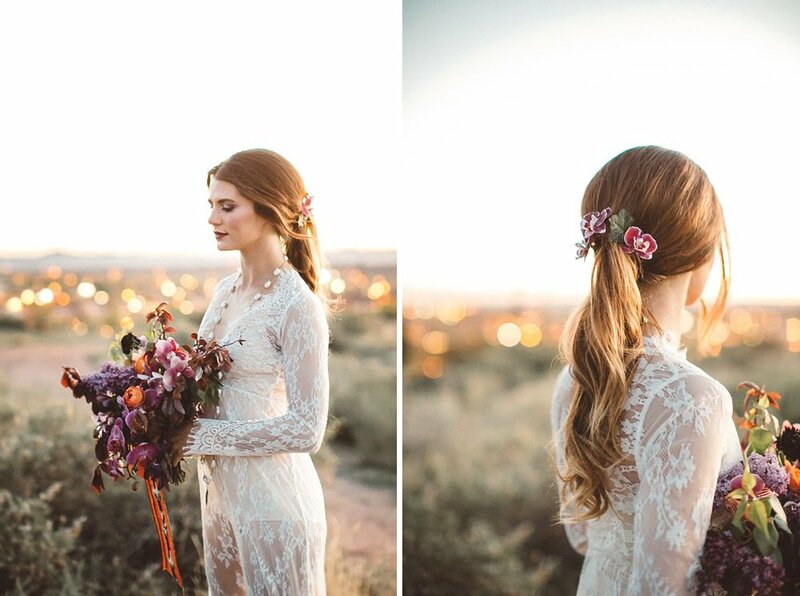 We were soooo thrilled to be a part of this stunner of a shoot, cheers to many more whimsical, incredible days like this one!!! 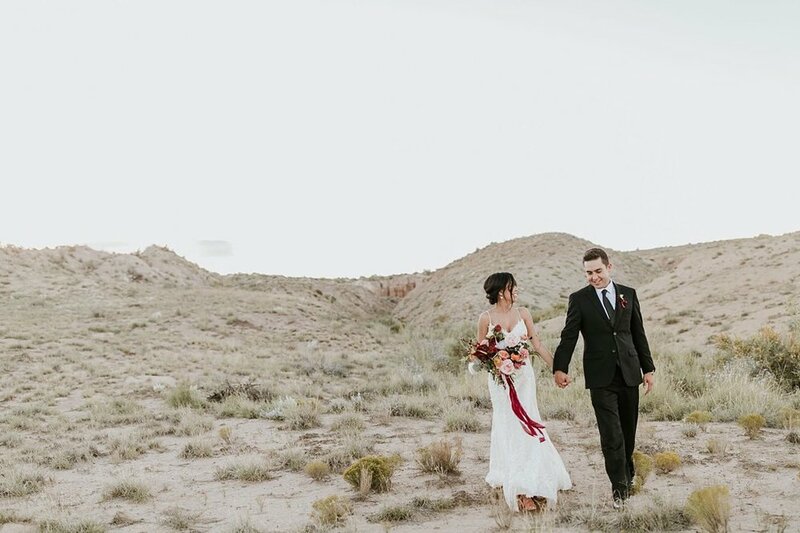 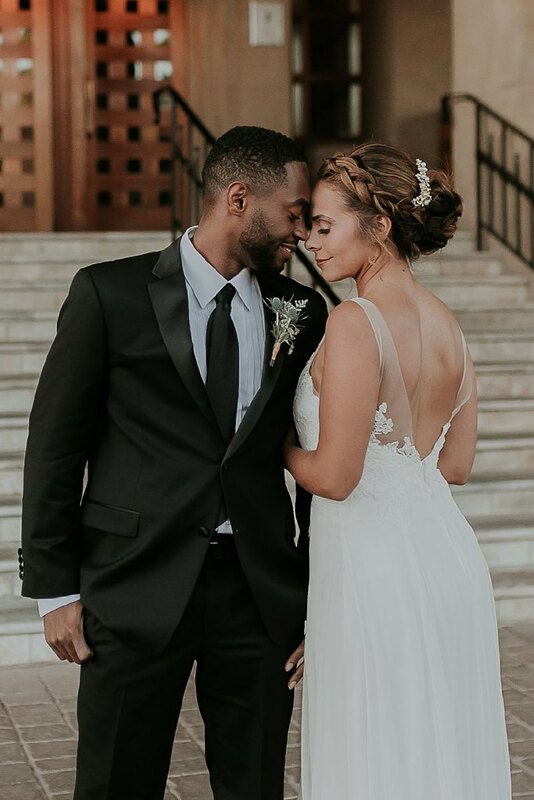 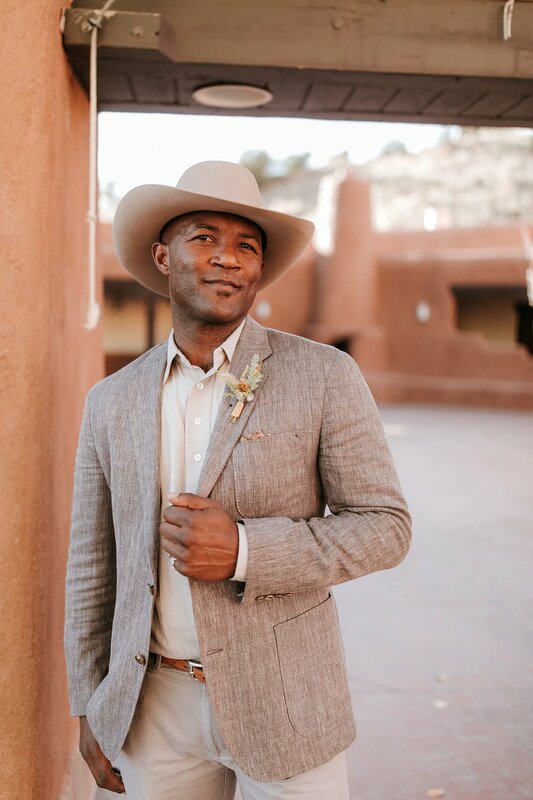 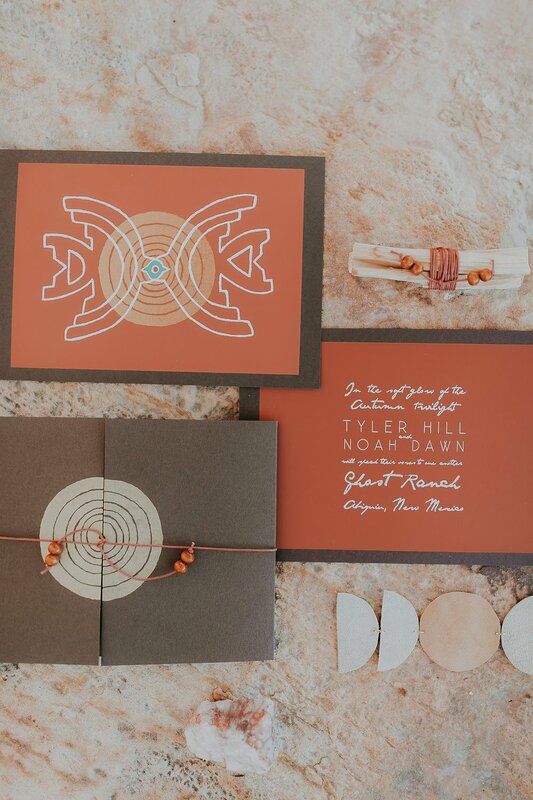 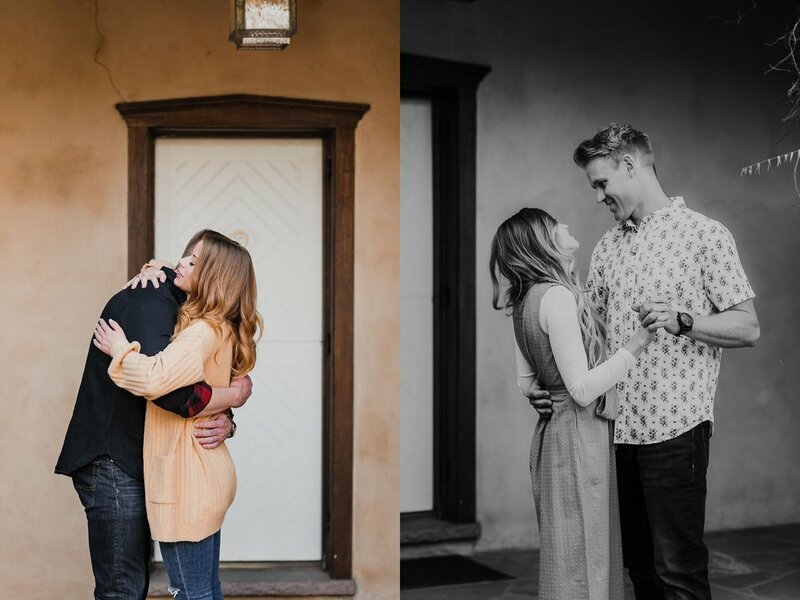 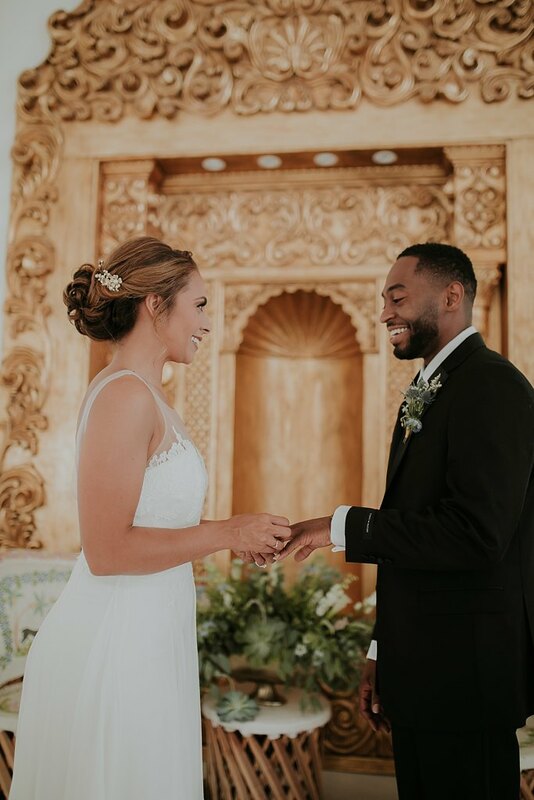 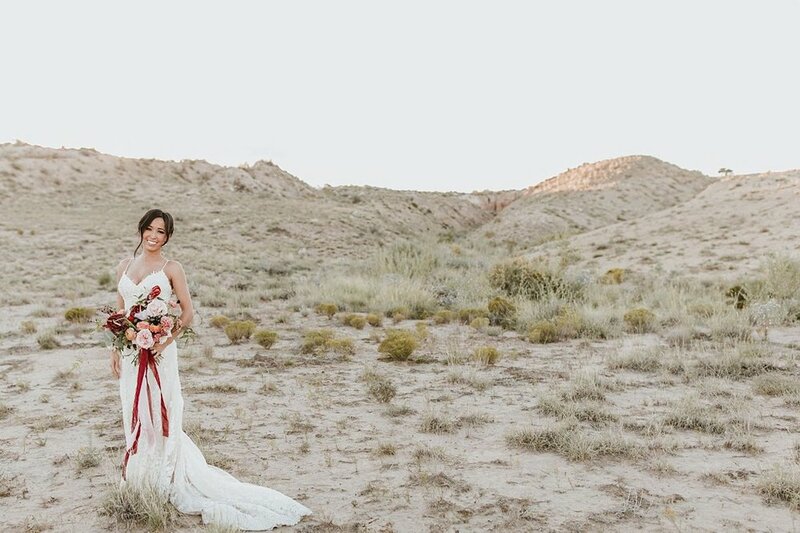 This fall, we asked one of our fan favorite couples, Dillon and Stephanie, to adventure with us into the New Mexico desert for some golden hour magic with a handful of extremely talented vendors. 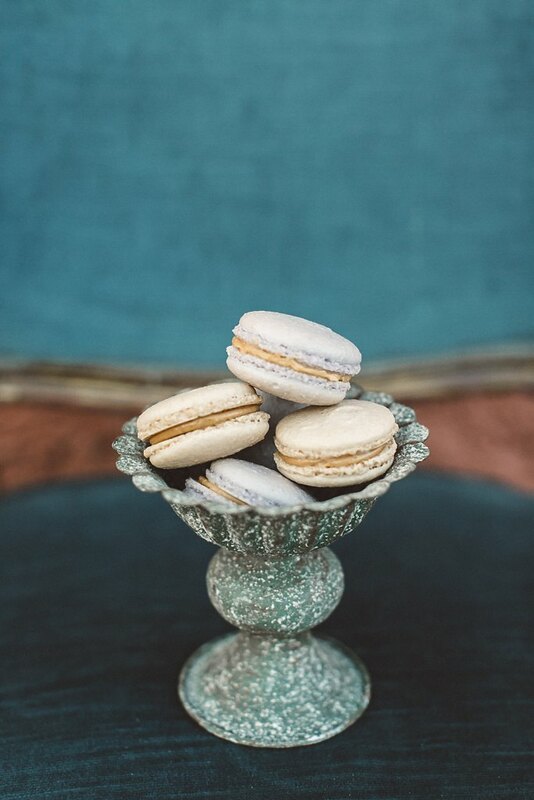 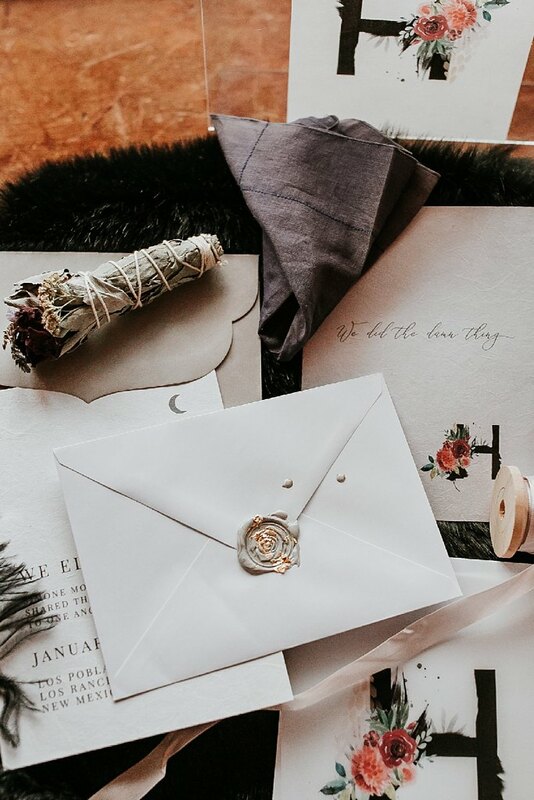 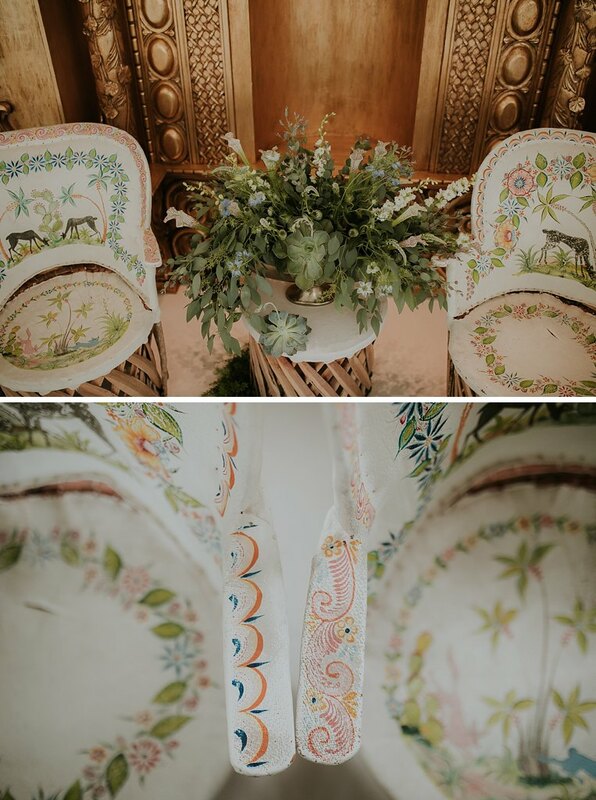 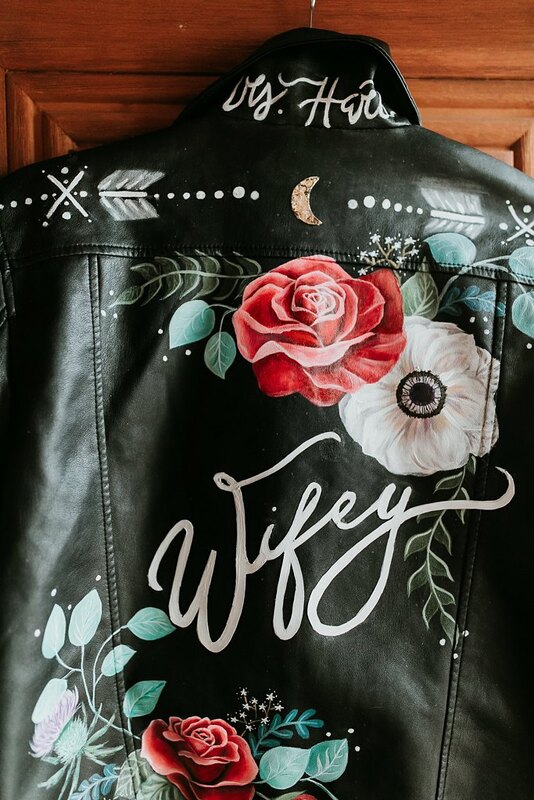 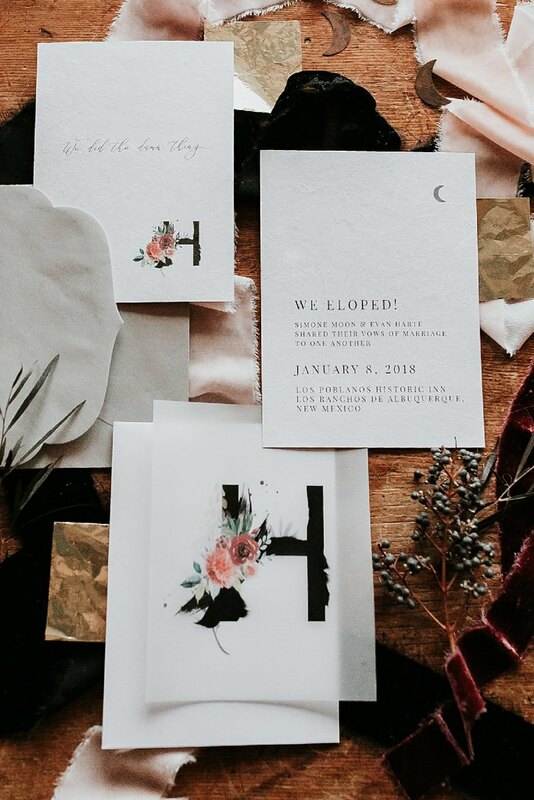 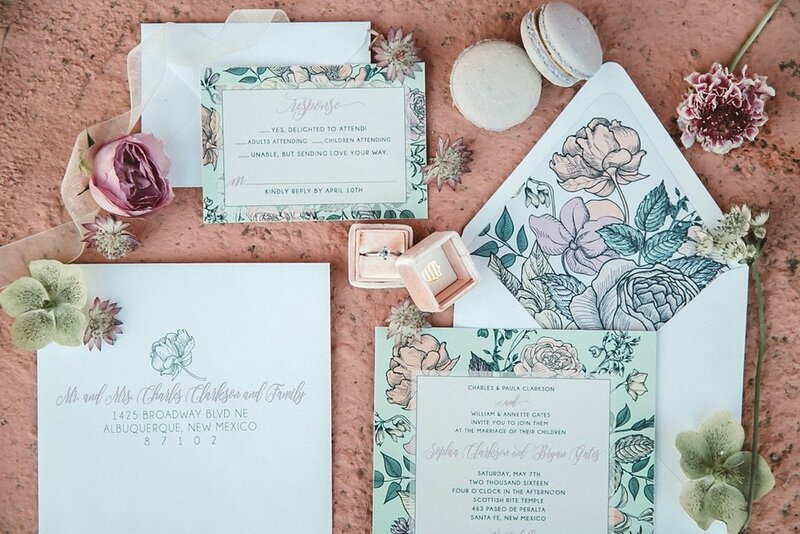 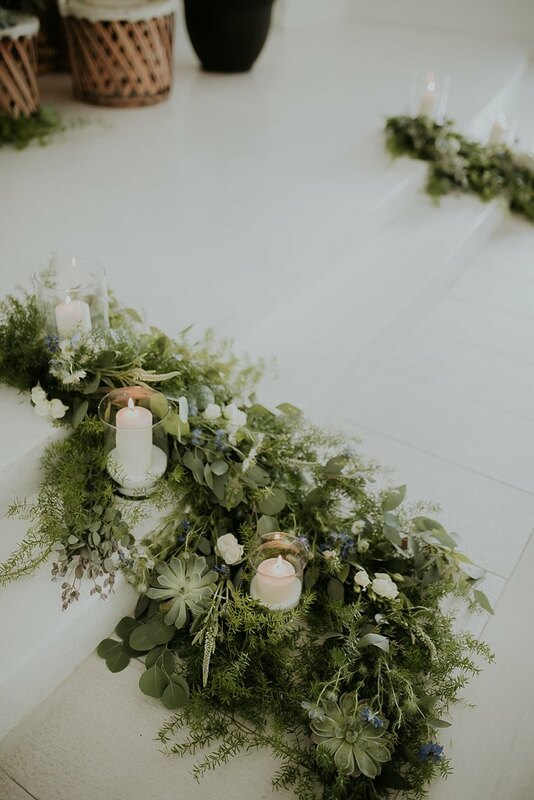 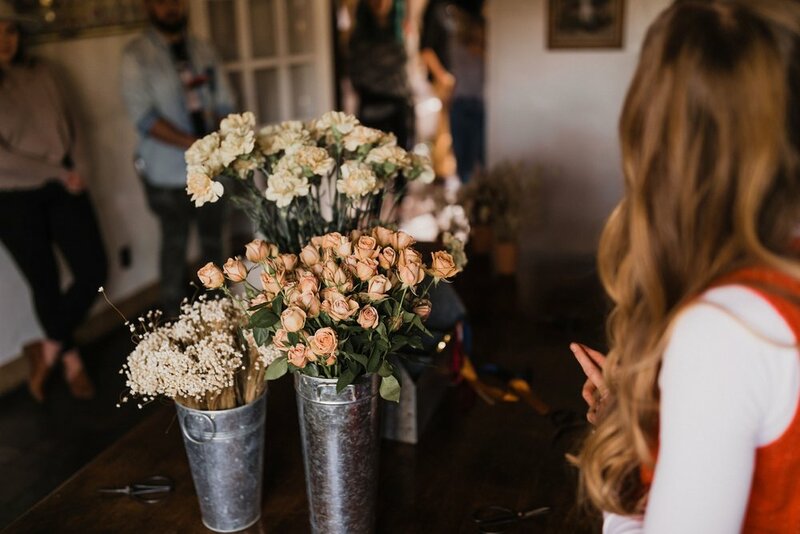 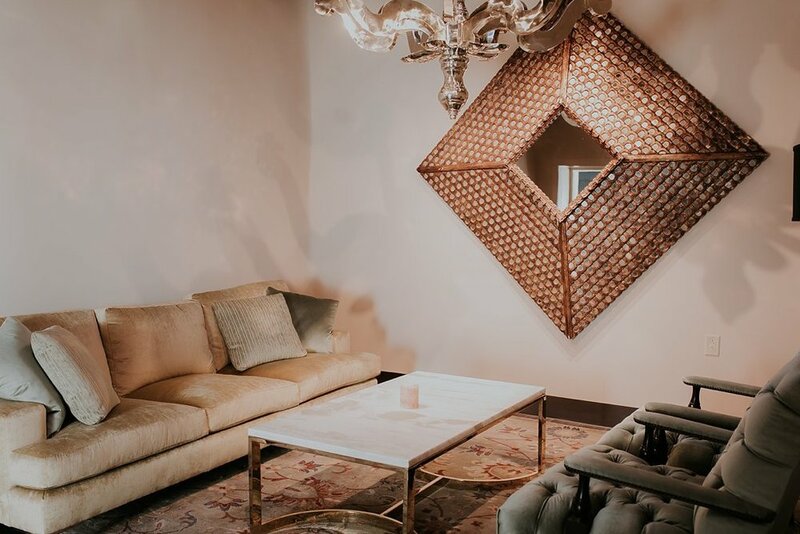 From the stunning florals the gals over at Renegade Floral brought, to Hello Jori’s delicate hand-lettering, to Emerald Pie Bakery’s sweet little personalized macaroons and pies, we were in heaven for one brief little evening. 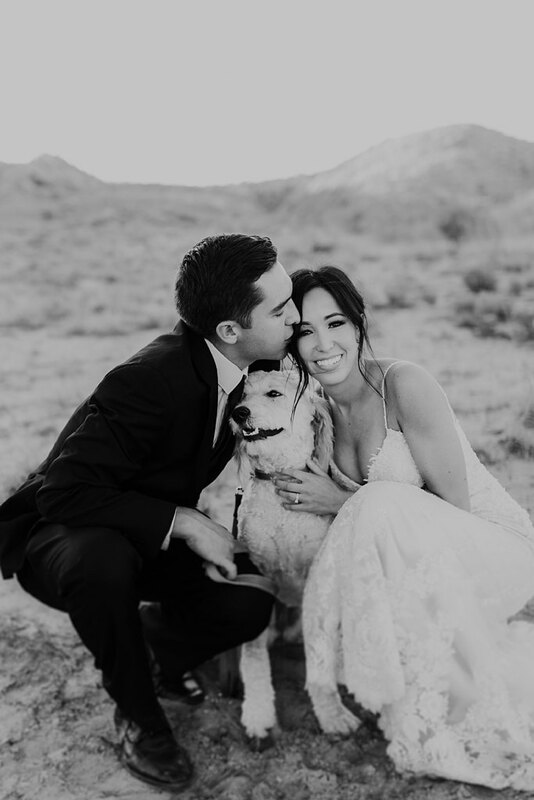 Besides having amazing style, these lovers even brought their sweet pup Penny along and we were beyond thrilled to capture this sweet little family together! 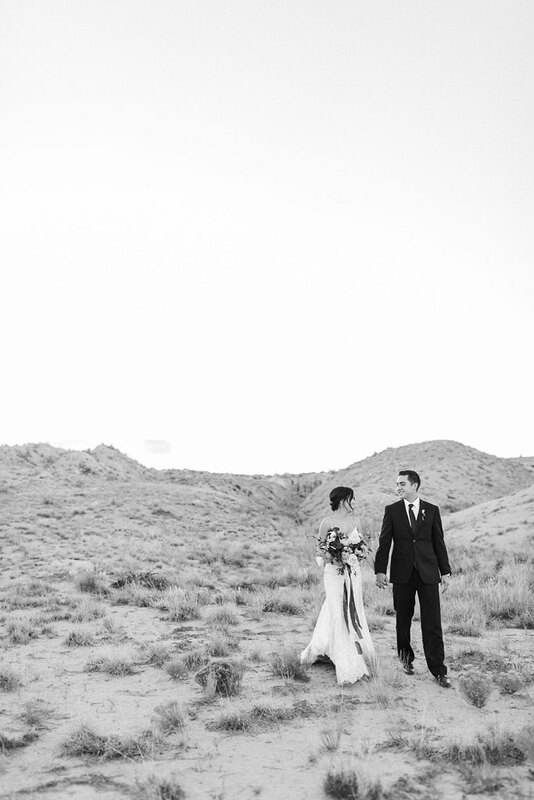 Here’s to more incredible twilight moments with gorgeous couples and stunning details! 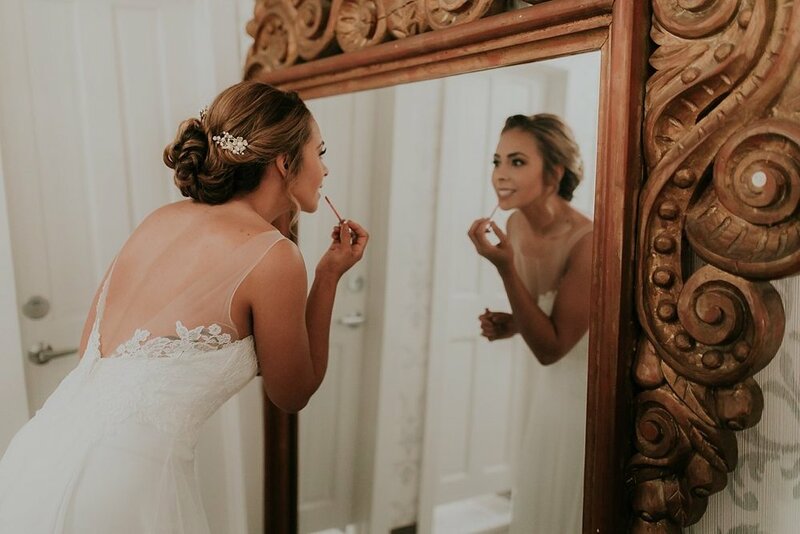 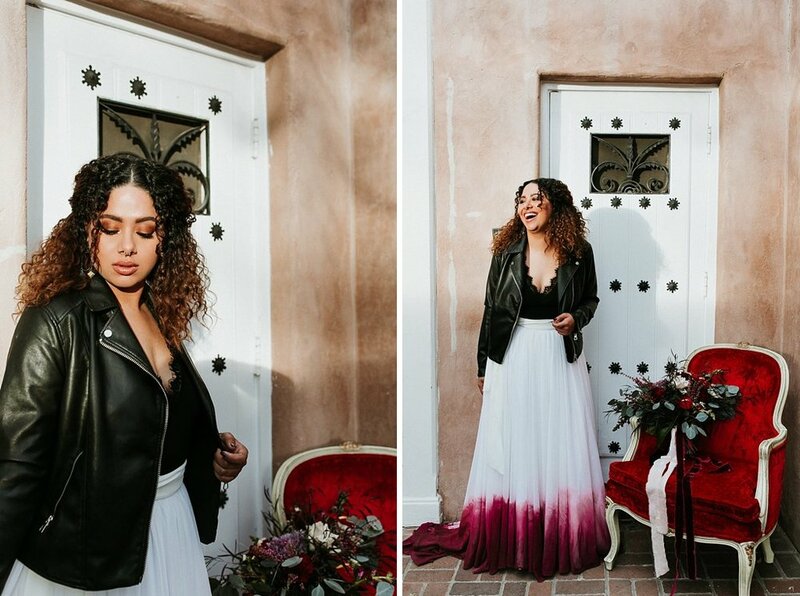 For this Styled Sunday, we decided to take it back to 2016 for a glam, yet edgy styled bridal session in Santa Fe with the gorgeous Mara Anderson and an incredible team of vendors. 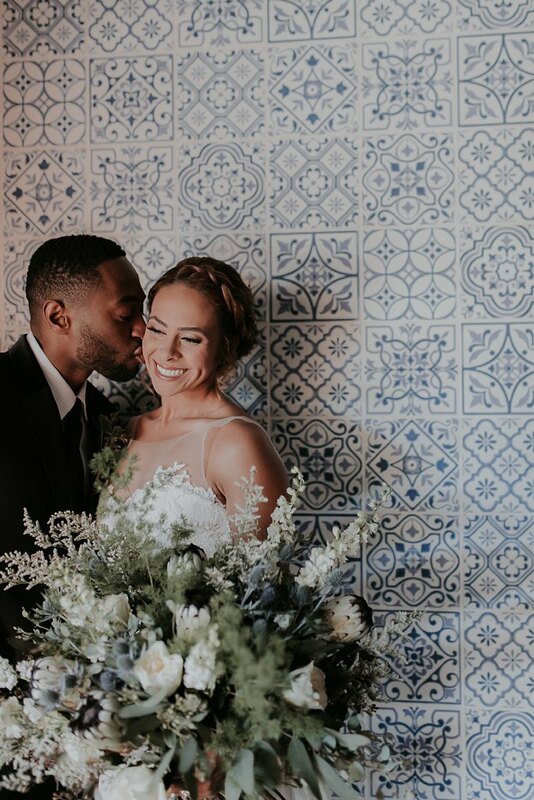 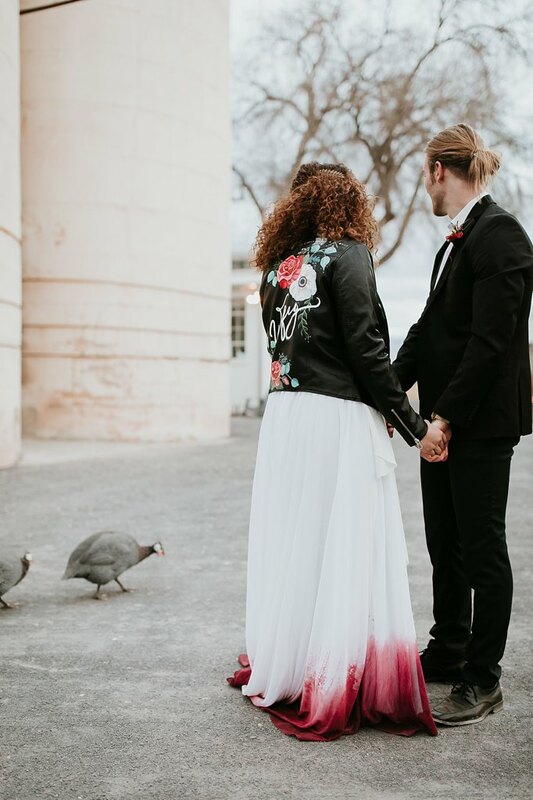 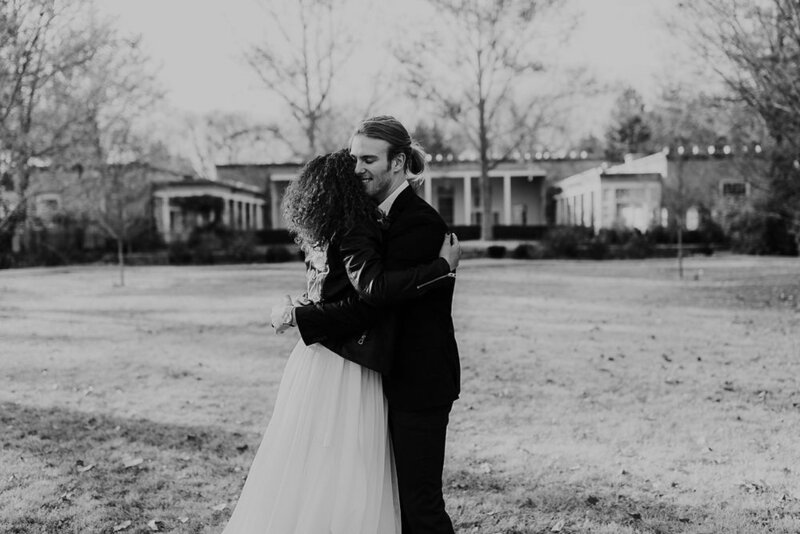 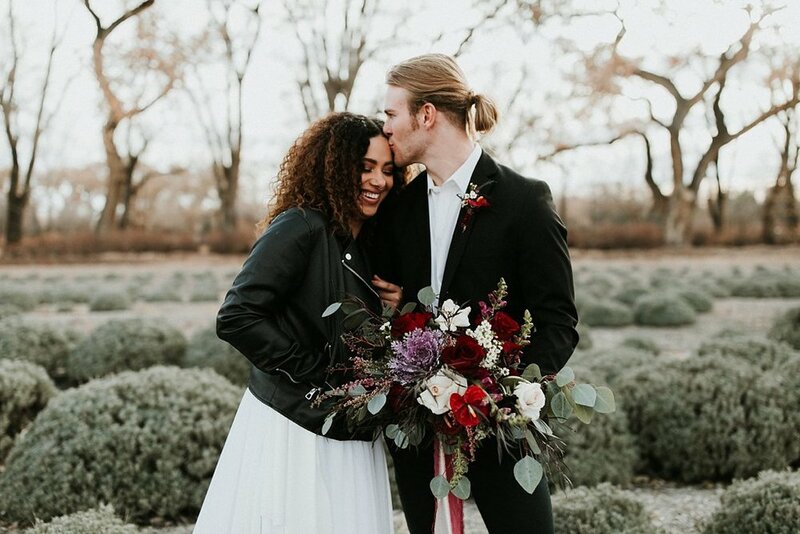 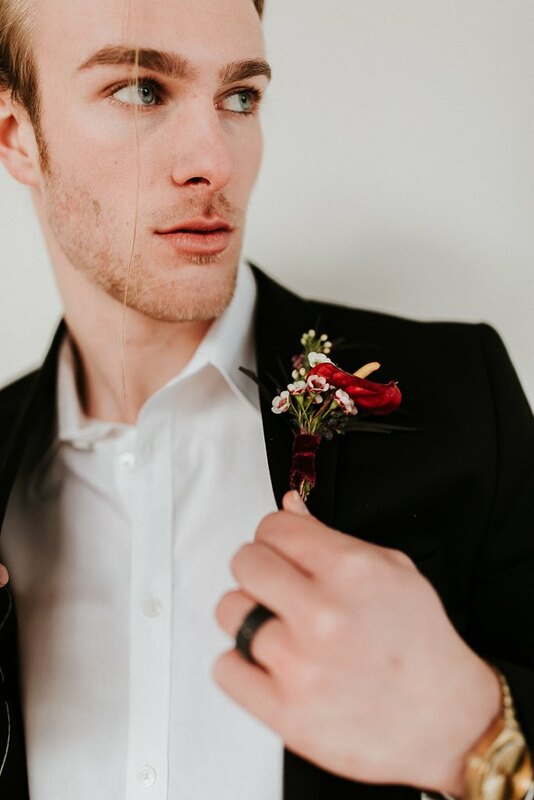 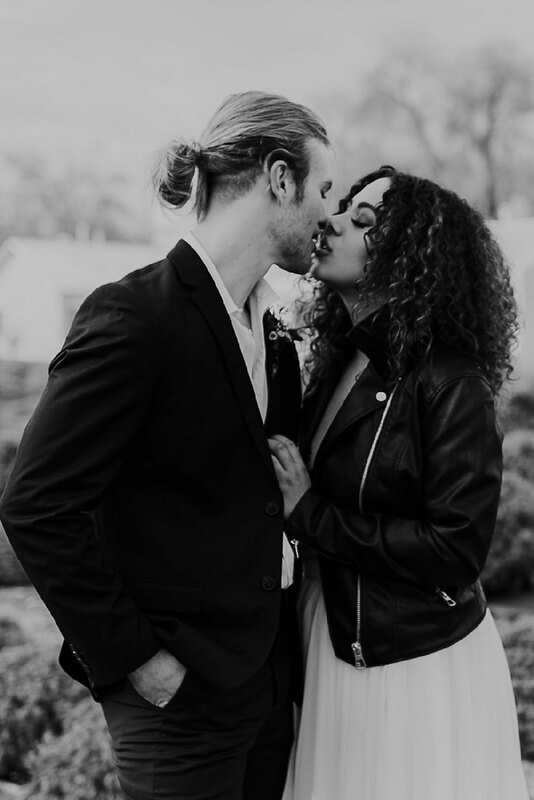 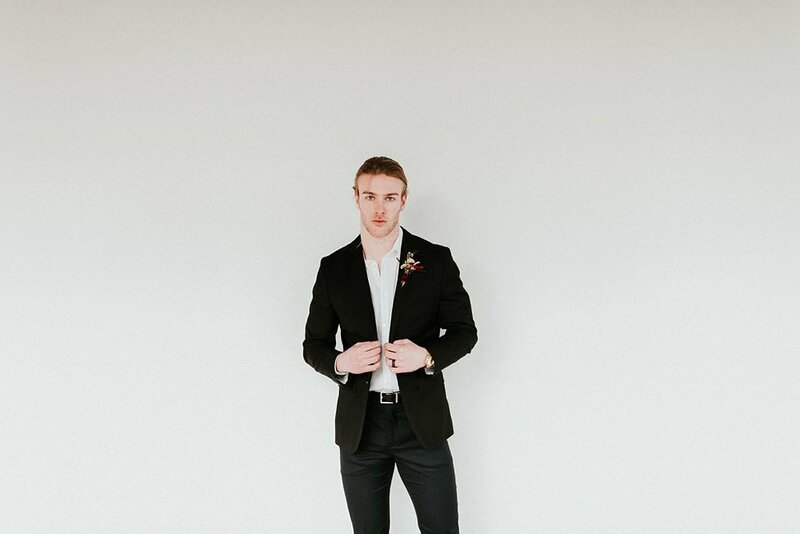 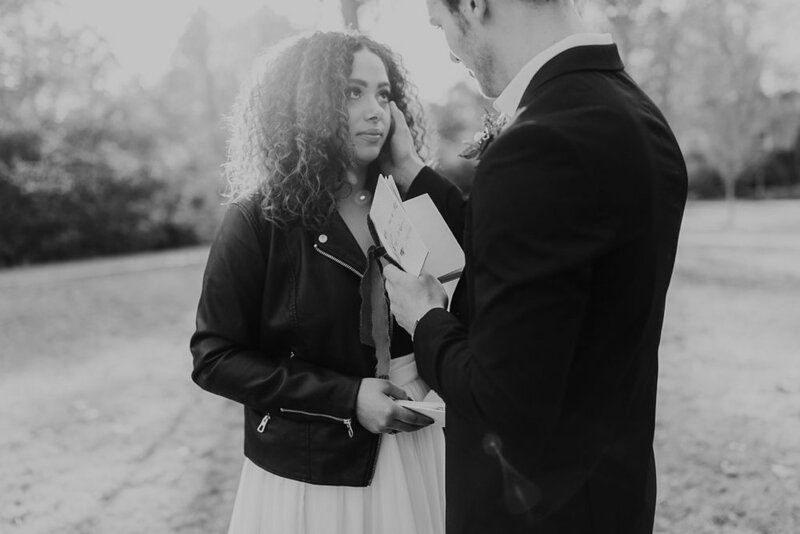 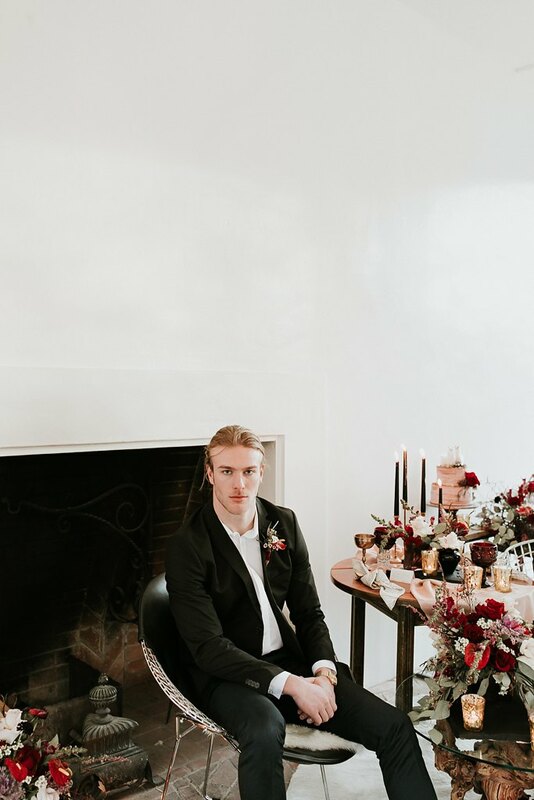 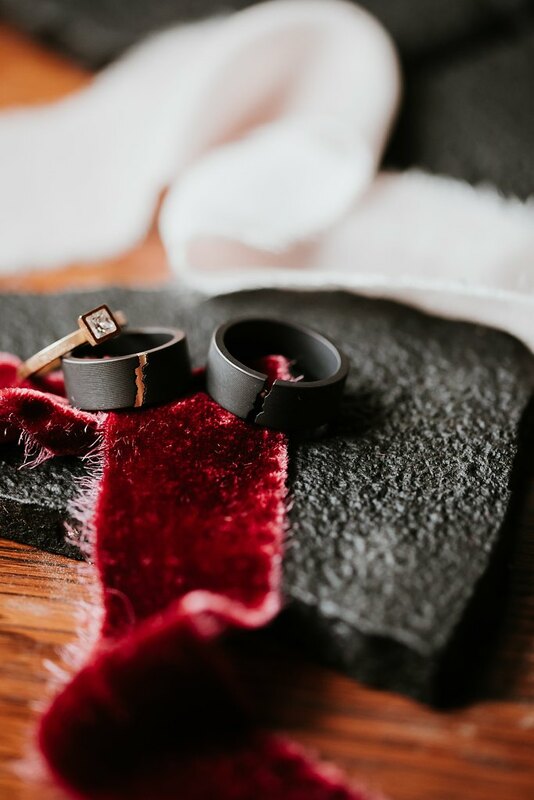 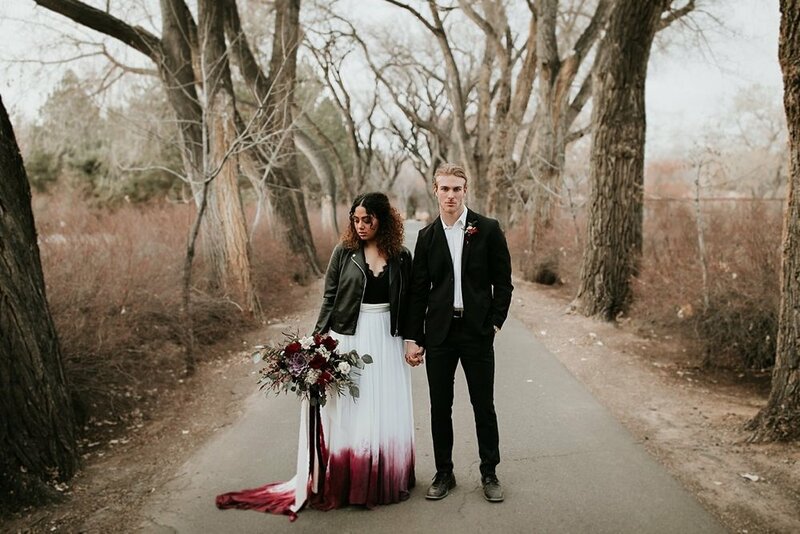 This session had sooo many staple details for fall weddings, from a long sleeve gown, to deep/bold florals, to a chic leather jacket. 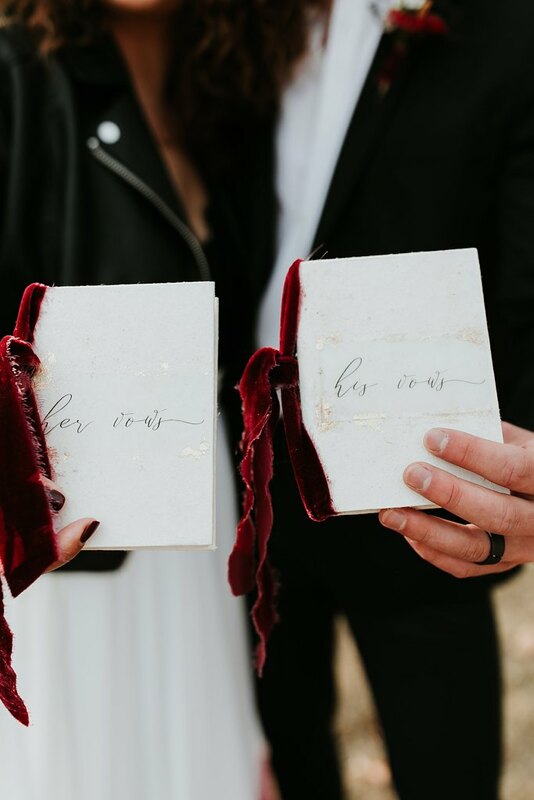 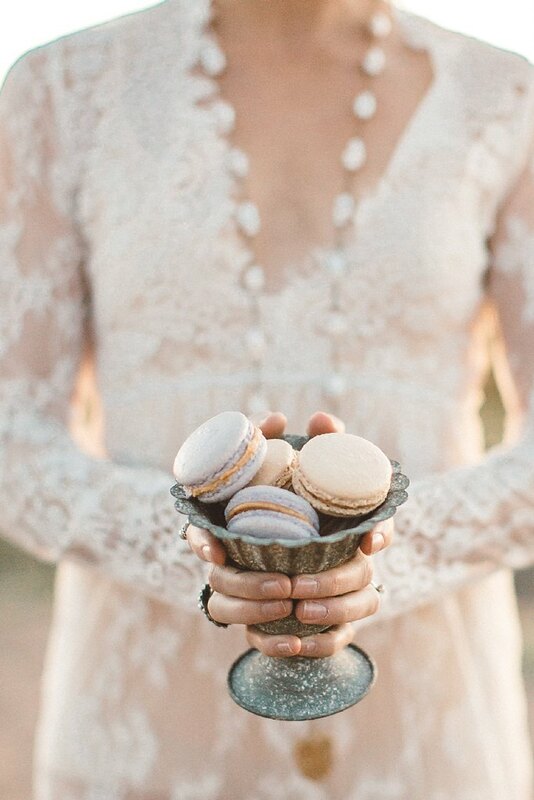 Mixed in with standout pieces were a few whimsical details as well, including macaroons and simple, neutral wedding stationary. 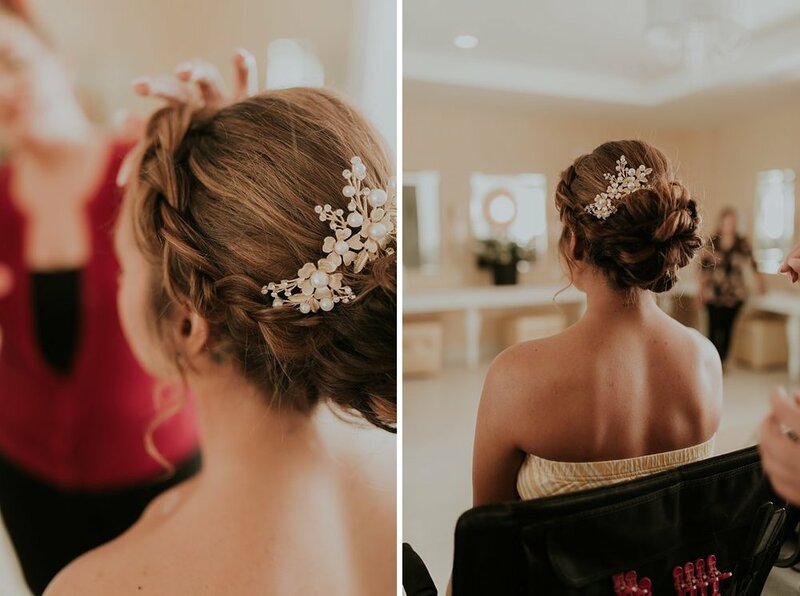 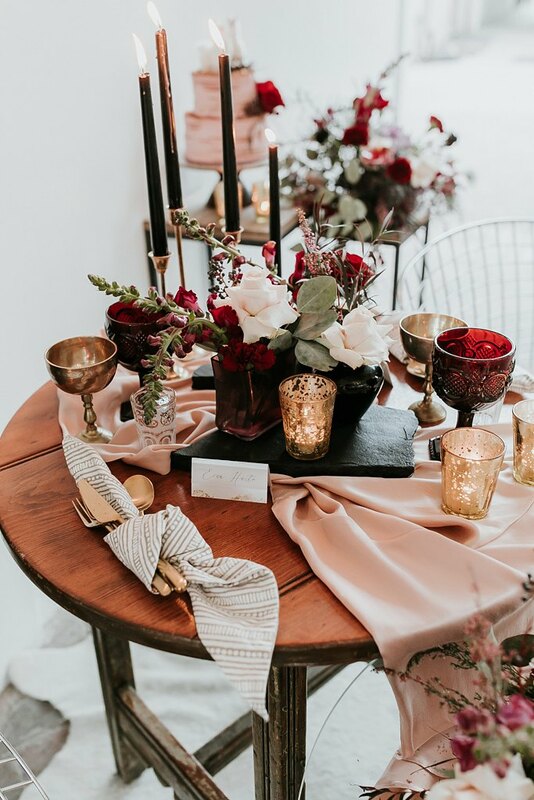 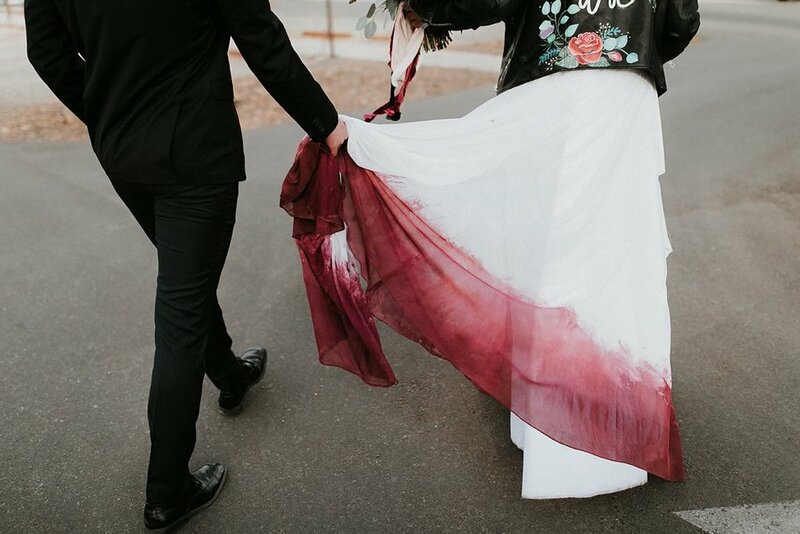 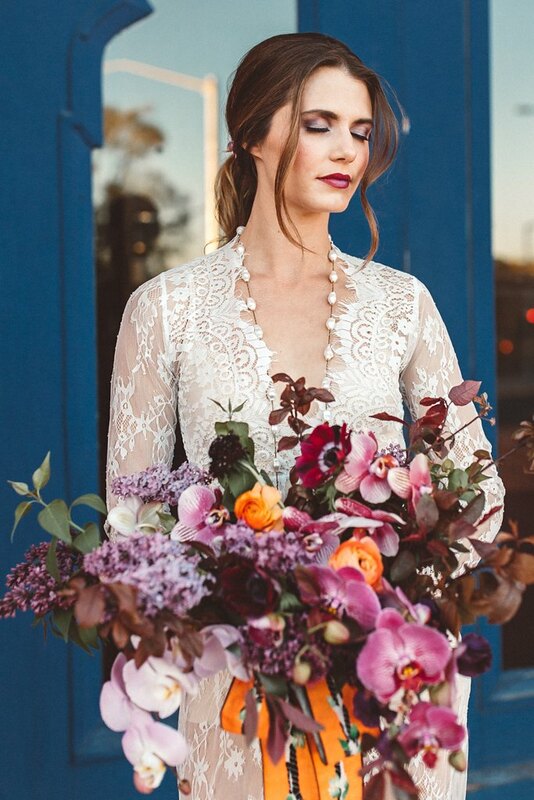 Get inspired this fall with a few wedding trends that truly never go out of style! 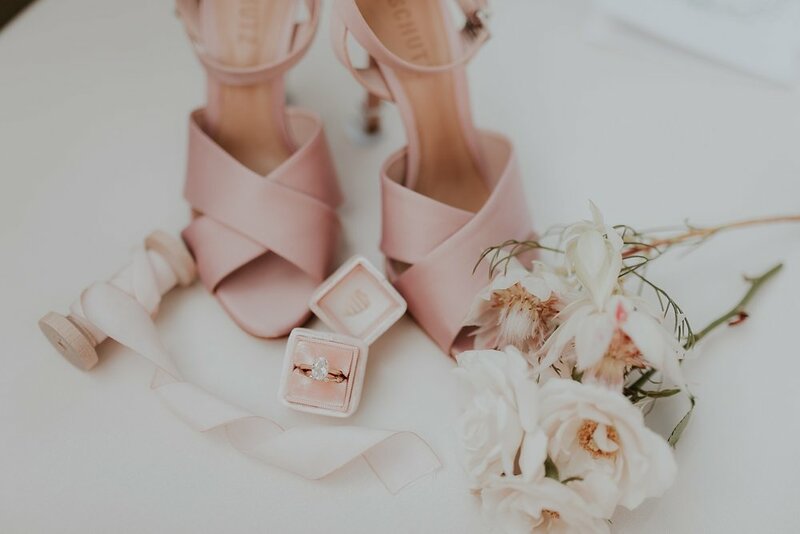 Among all of the gorgeous wedding day details out there, we can't resist an amazing pair of bridal shoes! 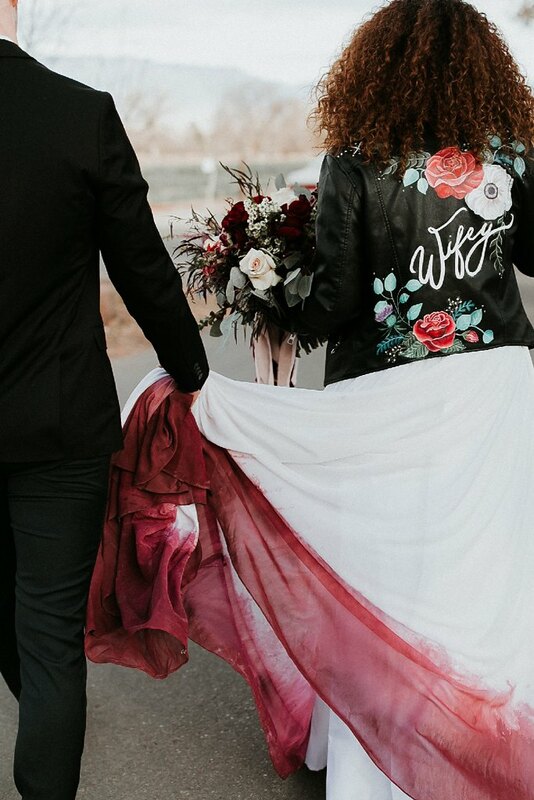 From suede to silk to floral detailed to intricate laser-cut designs, its hard to say what's our favorite finishing touch! 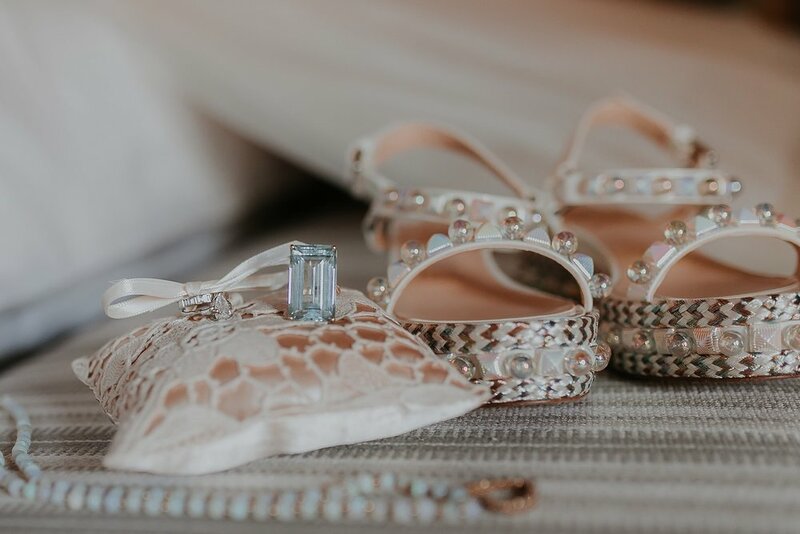 These beautiful pairs were practically made for a heavenly walk down the aisle and, as they say, you can never have too many shoes! 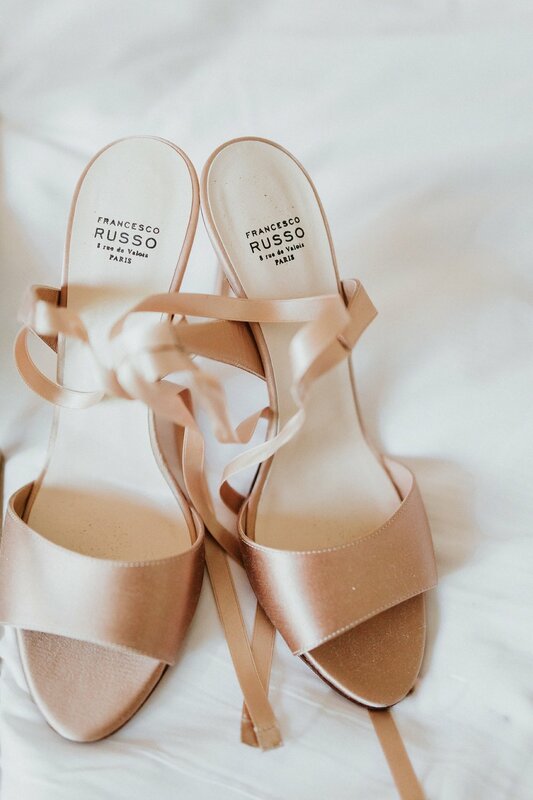 We're forever in shoe envy over the stunning brides who have worn these beauties on their wedding days!! 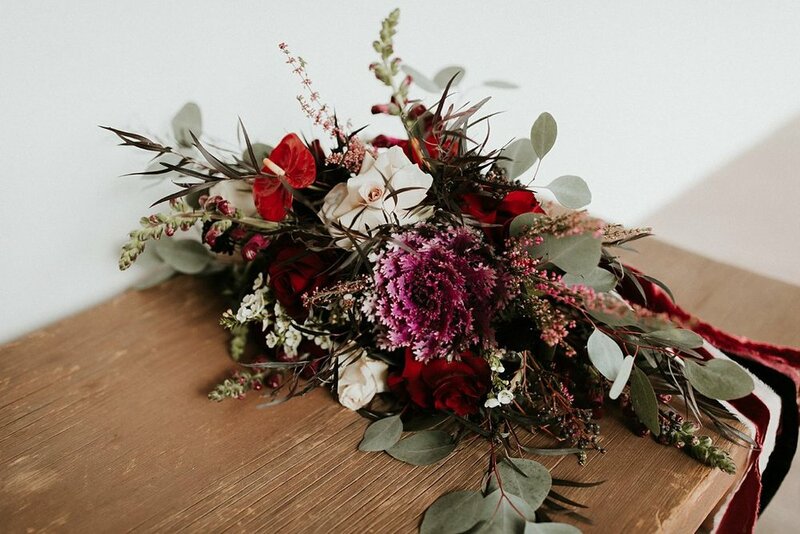 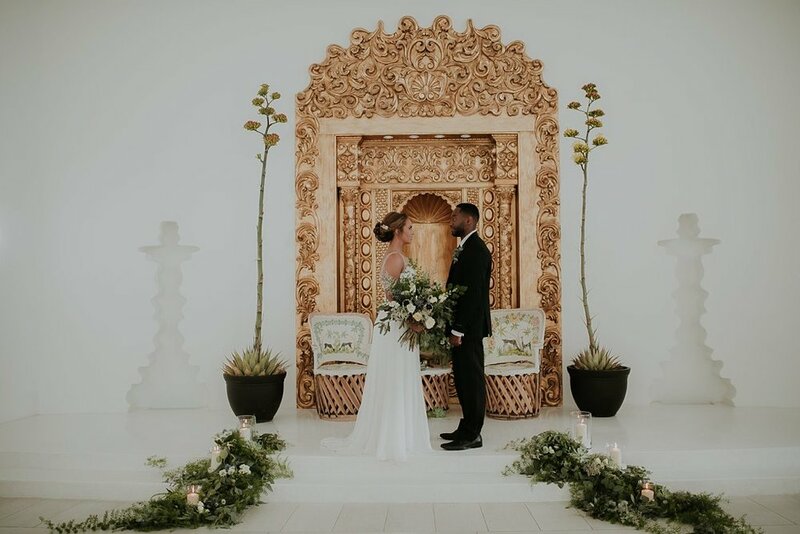 If there's one thing we know about weddings, it’s that no celebration is complete without some absolutely stunning florals! 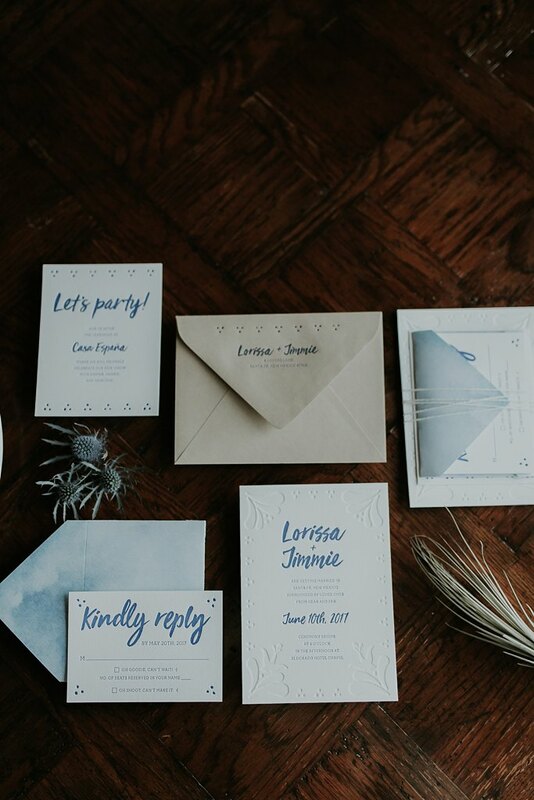 In the summer wedding season, our favorite color palettes range from the bold and bright to earthy and wild to the clean and elegant variety! 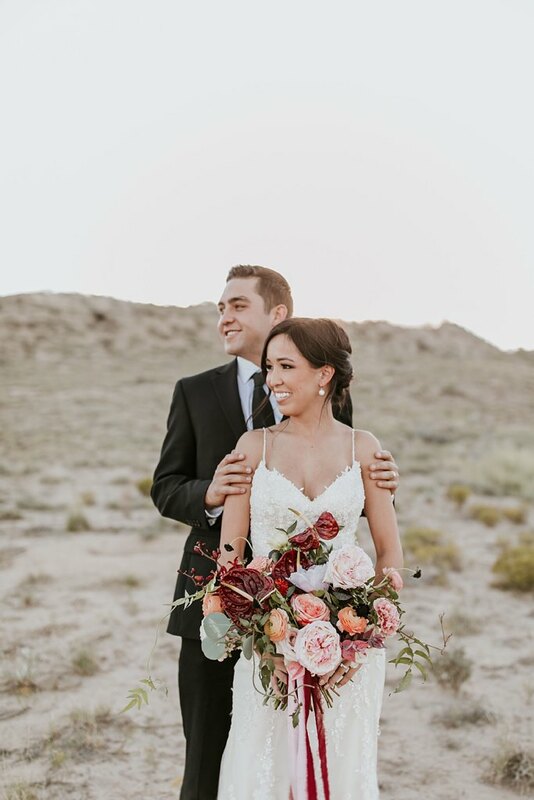 Here in New Mexico we are beyond lucky to work alongside some of the absolute BEST florists in the Southwest! 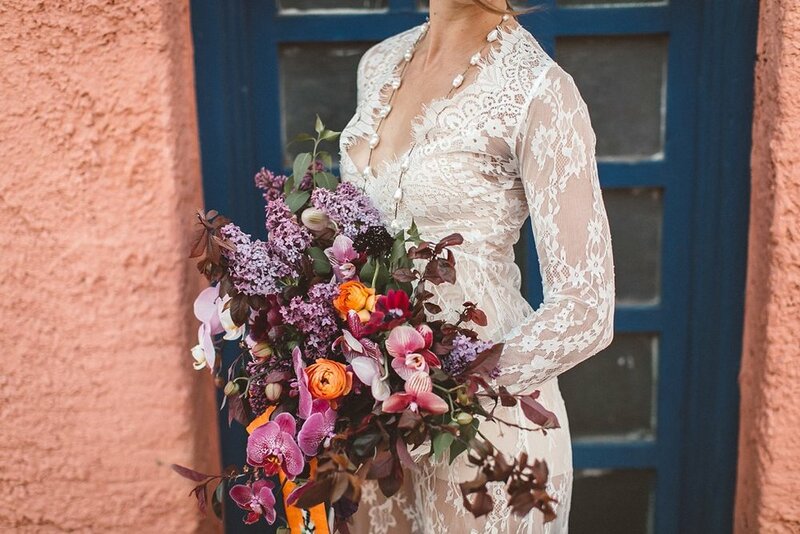 These are just a few of our fave summer picks, scroll through to get your ultimate floral fix.